Today I started experimenting with the edit mode in blender. This mode allows you to start editing the core mesh of the models. The basic way to manipulate a model is to select edges or vertices. When you have them selected, you can move them around and deform the model. Another tool I learned to use is the proportional deformation tool (O). This mode drags along more of the surrounding model with the point you are manipulating. 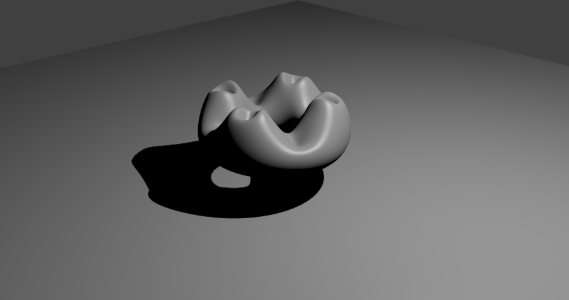 Using this you can create much more fluent looking shapes. I believe in hard work. I like spending time on things that can help me in the future. Steem has been a huge part of following my dreams because now I feel like every bit of time spent on Unity or Blender is rewarded in some way. These daily logs help me immortalize the steps I needed to take to get to a certain point in my life. Hope you enjoyed my post! If you liked it, an upvote is much appreciated!